Vitamin C is a vital nutrient for overall health. It is required for the growth and repair of tissues in all parts of your body and is needed for healing wounds and repairing and maintaining bones. It is necessary to produce collagen, an important protein your body uses to make skin, cartilage, tendons, ligaments, and blood vessels. As a structural protein, collagen is essential for firm, youthful skin. As we age, the natural amount of collagen in the skin tends to decline. The gradual slowing of collagen synthesis is exacerbated by environmental factors such as sunlight, smoking, free radicals, and inflammation. Unfortunately, humans are one of the few animals that are unable to produce vitamin C and are required to take it in through diet. However, vitamin C is water-soluble, so a great deal of the vitamin C we ingest orally is excreted rapidly and little reaches our skin. So, while taking a supplement may support some body functions, the most effective method for replenishing vitamin C in the skin is applying it directly. As levels of vitamin C in the skin decline with age, topical vitamin C is one of the most efficient ways to boost collagen synthesis, combat oxidative stress, and slow its degradation. When applied topically, it promotes collagen formation and reduces the effects of free radicals, helping to maintain firm, youthful skin. Overexposure to ultraviolet radiation and environmental pollutants can accelerate skin aging by degrading collagen and triggering oxidative stress in the skin. Oxidative stress can directly damage cell membranes, proteins, and DNA, as well as turn on the cellular and molecular mechanisms that accelerate aging. Using a topical vitamin C-serum during the day helps combat the many free radicals we encounter and reduce the inflammation in the skin which can result from heat and sun exposure. In addition to its anti-inflammatory properties, studies have found that vitamin C can protect blood vessel walls from free radical damage, and reverse existing vascular damage. All of which are a daily struggle for someone trying to manage rosacea. Finding products that do not irritate rosacea is important and a trained esthetician at the Skin Klinic will be able to help identify your specific needs and recommend a product to help calm and soothe your inflamed skin. Just like wearing sunscreen daily, a vitamin C topical is something that everyone should include as a staple of their daily skin care regimen. However, not all products are created equal, and there are many derivatives of vitamin C that don’t penetrate the skin well. 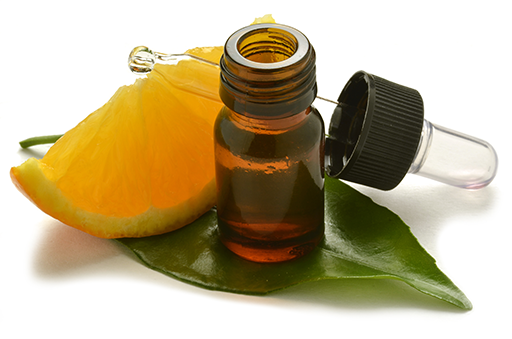 It is important to choose a topical that contains L-ascorbic acid, the form of vitamin C that is found in nature and is biologically active in the body and a product that is in a glass bottle with a glass dropper. Products such as Obagi-C Rx Serum, iS Clinical PRO-HEAL Serum, or SkinCeuticals Phloretin CF all contain L-ascorbic acid. Call the Skin Klinic (480) 451-1700 today to for more information on the amazing vitamin C serums we carry and find out which product will help you achieve your healthiest, most youthful skin.